I have the wonderful opportunity to meet with and talk with remarkable coaches. I spent the first week of my visit in Bath. Whilst there, my wife Sue introduced me to Colonna and Small’s Speciality Coffee Shop in Chapel Row. 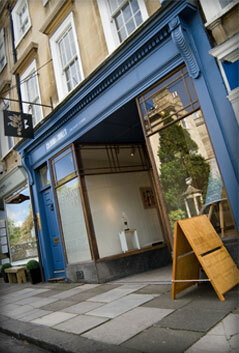 On my last day in Bath I visited the cafe and met Maxwell Colonna-Dashwood, the co-owner of the shop. I really enjoy good coffee so meeting Maxwell was a real treat. Maxwell and his partner run three espresso coffees at a time. They can be of single origin or blended. Behind the counter there is a tasting board that explains the flavours from the espresso, and then the kind of flavours to be anticipated when the espresso is combined with steamed milk (at 65 degrees). The single origin Colombian coffee I ordered was sensational. I realise I have a new learning opportunity to explore taste, flavour and perception (the topic of a Maxwell blog post). Perhaps my conversations with coaches in the first week of my visit to England positioned me to be open to the insights and experiences offered by Colonna and Small’s Speciality Coffee Shop. But I do think there are some great synergies between coffee making and coaching. Now let’s say that we are interested in the role of the barista when defined as a knowledgeable coffee professional. Someone who is taste focused and applies processes and understanding of variables to empower that taste journey and presentation of the drink to drinkers. With this in mind it’s quickly very clear that most café environments are not the optimum climate for such a role. Speciality coffee is relatively young and is currently expanding, more opportunities to partake in coffee in such a way are appearing, but they are not currently plentiful. I hope the project in which I am involved can support the nourishment of coaches. Previously I have been thinking that I should be seeking out performing arts as a guide for a language about performance (I did meet one coach in the Jazz Cafe in Bath). Meeting Maxwell has encouraged me to think about the insights to be gained from the joys of speciality coffee. If time permits pop into The Charing Cross Hotel and sample afternoon tea (Darjeeling)! I have a lot to learn about tea too, Gordon. Wonderful reading Keith, Thank you. I hope you and Sue enjoy your time away and look forward to catching up with you when you return.